Additional innovations include the V12 Prince Strip coil and the V12 Prince Mesh coil. Both of which promise to aid the TFV12 Prince tank (2ml UK version) to deliver bigger clouds and richer flavours. 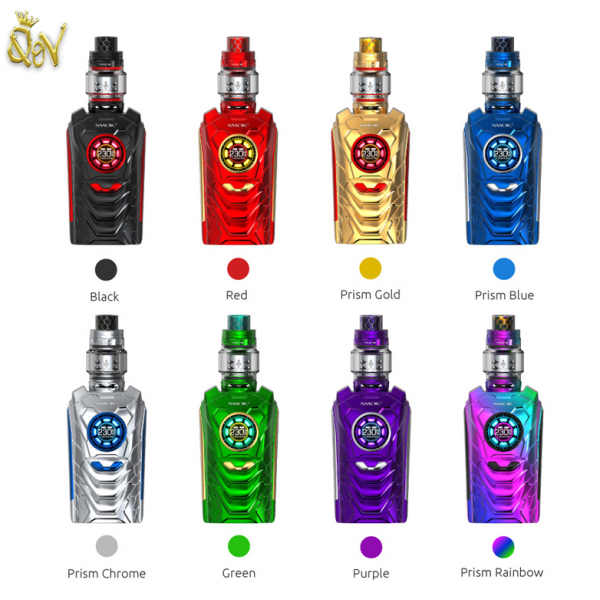 Colours for the Smok i-Priv kit include Black, Red, Prism Gold, Prism Blue, Prism Chrome, Green, Purple & Prism Rainbow.